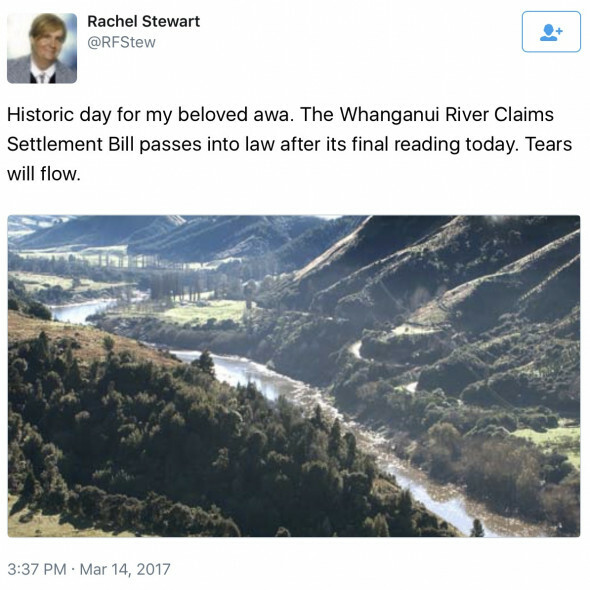 As the Trump administration works to dismantle environmental regulations protecting American waterways, New Zealand has recognized the Whanganui River as a legal person. On Wednesday, New Zealand Parliament passed the Te Awa Tupua Bill which states that the river is “an indivisible and living whole,” making it the world’s first river to be given this special designation. The river has been granted the ability to represent itself through human representatives, one appointed by the Whanganui Iwi (Maori people) and one by the Crown (government of New Zealand), Treaty Negotiations Minister Chris Finlayson explained to Newshub. “I know some people will say it’s pretty strange to give a natural resource a legal personality, but it’s no stranger than family trusts, or companies, or incorporated societies,” Finlayson added. Similarly, New Zealand’s Te Urewera national park also has “all the rights, powers, duties and liabilities of a legal person,” thanks to the Te Urewera Act. More than 200 descendants of the Whanganui Iwi witnessed the bill’s passage. Songs were sung and tears were shed after Parliament’s third and final reading of the bill. The decision marks the end of New Zealand’s longest-running court case, as the Whanganui Iwi have long fought for the recognition of their authority over the river. “Since the mid-1850s Whanganui Iwi have challenged the Crown’s impact on the health and wellbeing of the river and those who lived on it, and have fought to have their rights and their relationship with the River recognized,” said Gerrard Albert, Whanganui Iwi spokesperson, in a statement. The bill includes $80 million (about USD$56 million) financial redress payment and another $30 million from the Crown to “promote the health and well-being” of the river. Albert said that the Whanganui Iwi looks forward to working closely with other Iwi, local government, the Crown and other parties with an interest in the future of the river.